Summer seems to have evaporated this year. It’s like I blinked and July was over, and the same happened with August. Now it’s back to school time. What the….??! I’m always sad to see the end of summer, because it means that darker wetter weather will soon be taking over. But whether it’s summer or not, crunchy pre-dinner snacks rule around here. Mixed nuts, chips and salsa, chips and guacamole, chips and pico de gallo….you get the idea. And while I could hoover up chips and salsa any day, in the back of my mind I know it’s better to be eating more nutrient dense food: Enter roasted kabocha squash dip. I first got to know kabocha squash a few years ago. 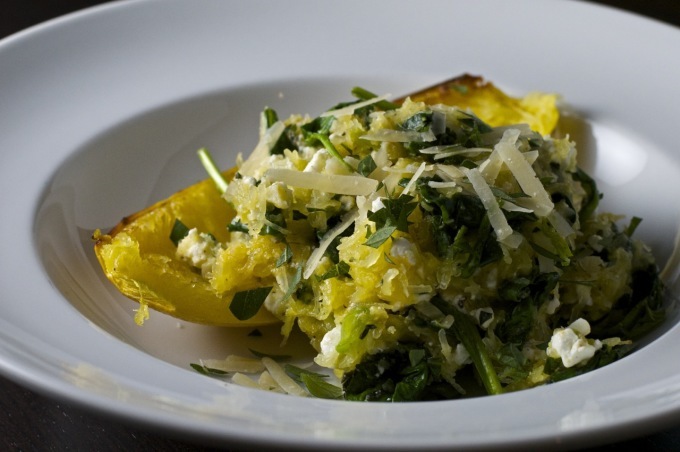 Not normally a squash fan, I went head over heels for kabocha. It has a lovely sweet flavor (especially if you roast it) and a lighter texture compared with other squashes like butternut or acorn. Not so heavy, you know? Another great thing about kabocha squash is you can eat the rind. Really! One way we’ve been enjoying kabocha is in a salad: Wilted kale, roasted kabocha (rind and all) and dried cranberry is a lovely salad that is good warm or cold, and — bonus — it keeps for several days in the fridge. Now you will need to peel the rind for this dip. But you do so after it’s roasted, so it’s easy peasy. Some fresh lemon juice for brightness, ground cumin for earthy spice and a few tablespoons of tahini for creamy….Eve, what did you say….unctuousness? All I can say is it’s so worth it to have a colorful, nutritious dip to welcome in the unofficial beginning of fall. First, prepare the kabocha squash: Preheat oven to 400F and line a baking tray with foil. 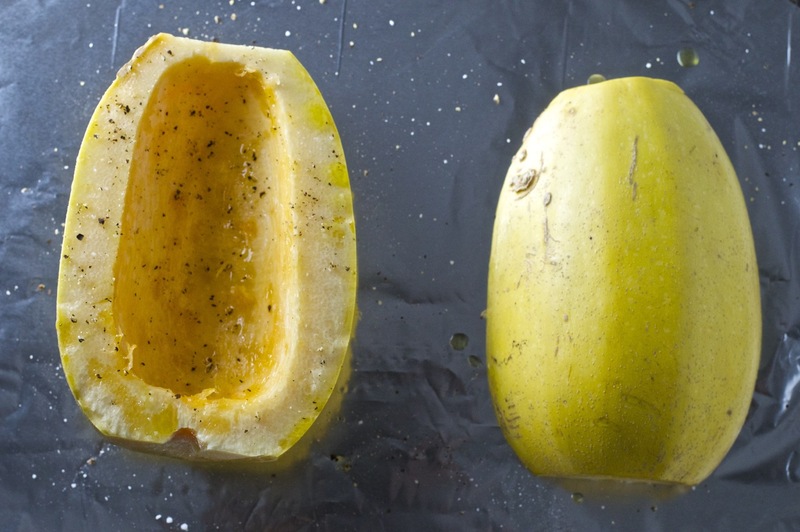 Cut the squash in half and remove the seeds, then slice the flesh into 1-inch thick wedges. 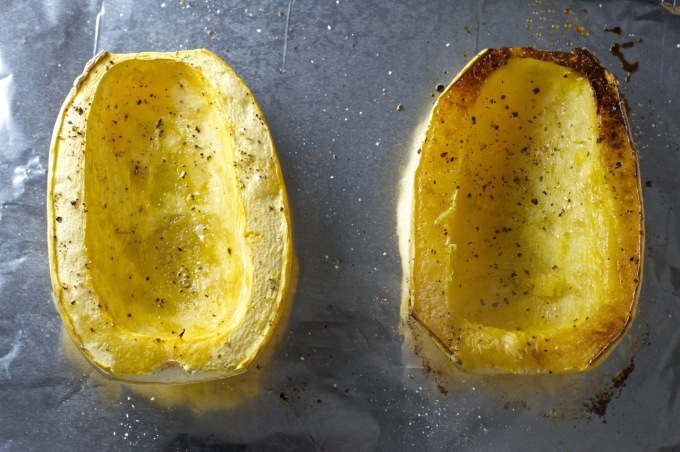 Place wedges in a single layer on the baking sheet and drizzle with olive oil, then sprinkle salt and pepper over them. Roast for 20-25 minutes, or until the flesh is tender. Remove from oven and let cool, then slice off the rind. 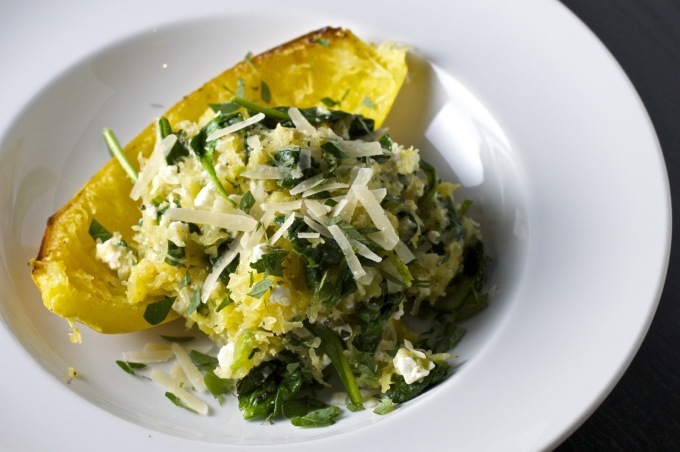 You should have about 14oz/400g of roasted squash. Place the roasted kabocha squash pieces in a food processor with the blade attachment, and pulse a few times. Add the lemon juice, tahini, cumin, cayenne pepper and hot water and puree until smooth. Scrape down the sides of the bowl with a spatula and ensure you have a uniformly smooth dip. If you would like it thinner, add a bit more hot water. Add salt and freshly cracked pepper to taste, and transfer to a serving bowl. Just before serving, drizzle with a tiny bit of olive oil and serve with colorful tortilla chips for dipping. Enjoy! Ta da…..squash and apple soup! It’s only taken a few months to get a new post out. 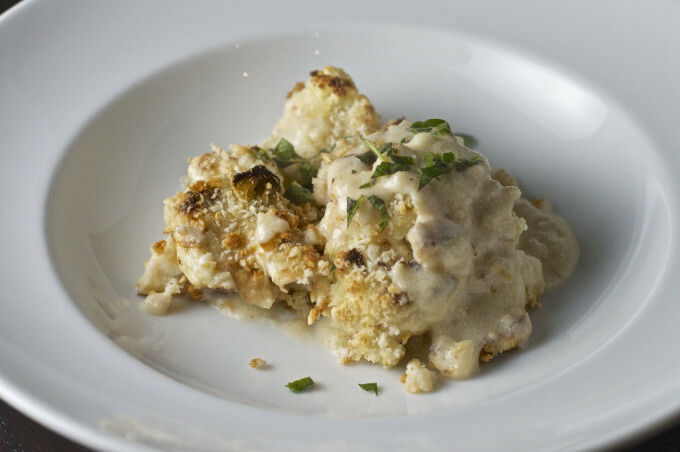 I think we should start calling this an, ahem, occasional food blog. Since Eve and I started this, over 4 years ago now, life has seriously gotten in the way of time spent creating Ant & Anise — to peruse, experiment, measure, write down precise instructions, photograph and, at the end of all that, have something meaningful to say about a recipe. Because it does take time. Hours and hours for each post. But hours to explore new food ideas and recipes is something I’ve been short of, in a serious way, for what seems like forever. Ahem, okay probably more like six or eight months, if I cut the hyperbole. Yep, real life has taken oven. Don’t quit your day job is ringing in my ears right about now. Big sigh. Deep breath. Another deep breath. 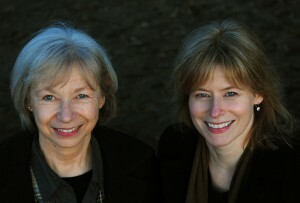 So many things I would like to do with this blog, and so little time to squeeze it all in. Something has to give. One thing that gave, a lot, was squash from the CSA. Yes, way back in the fall. It’s been that long. At one point I had four of them on the kitchen counter, and they sat patiently for a few weeks before I decided that’s it, we’re doing a blitz on roasted squash around here. I think I was tired of moving them around to wipe the dust off the counter. I’m like that. Anyway, squash is one of those vegetables that I don’t didn’t rush out of my way to buy. Partly out of fear. It still kind of freaks me out. I’d be lying if I didn’t tell you I still have visions of having my chef’s knife taking a wrong turn and slicing my left hand open from wrist to fingertip. Those rinds are hard suckers, no getting around it. Tackling four at once help to squash (sorry, bad pun) take away the fear, and I’m mostly over it now. In fact, I just bought a kabocha squash today, and it’s going on the chopping block this weekend. The best advice I have for cutting into squash is to take it slow. Super slow. Have a decent cutting board and knife, keep your fingers safe, and don’t be in a rush. Once you’ve cut a squash in half, do a happy dance because the worst part is over. And the result will be so very, very rewarding. The roasting blitz turned out to be a catalyst for a few new favorites around here. First up, squash and apple soup. 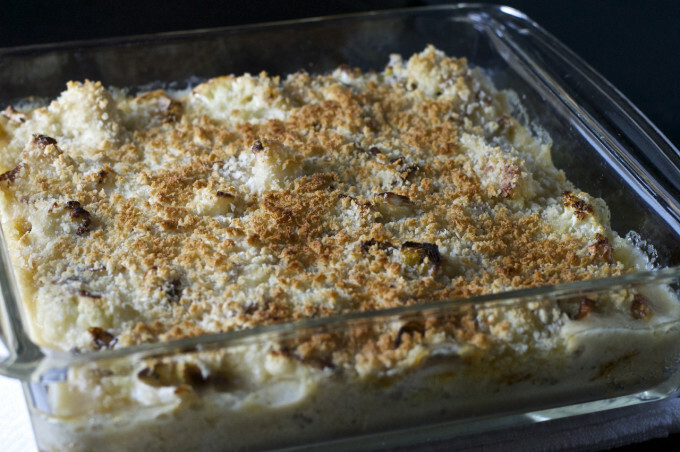 It’s substantial for a blustery winter day yet not too heavy, creamy with the addition of coconut milk, and has a lovely depth of flavor from not only the apple, but from roasting the squash before it’s simmered with the onion, garlic and other soup ingredients. Take a deep breath, and a sharp knife, cut into that squash rind, and don’t look back. You can do this. And you’ll be very glad you did. 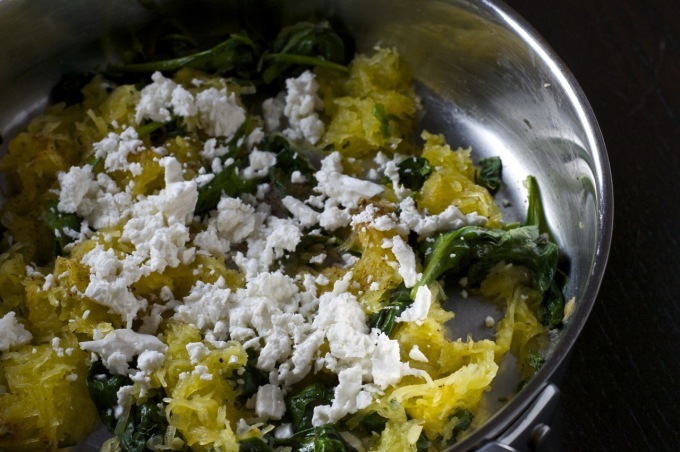 Roasting the squash before you add it to the soup adds a subtle depth of flavor. An easy, yet impressive, soup to make for guests or for when you need to warm up from the cold. Adapted from John Bishop's Butternut Squash and Apple Soup from his Simply Bishop's book. Preheat oven to 375F. 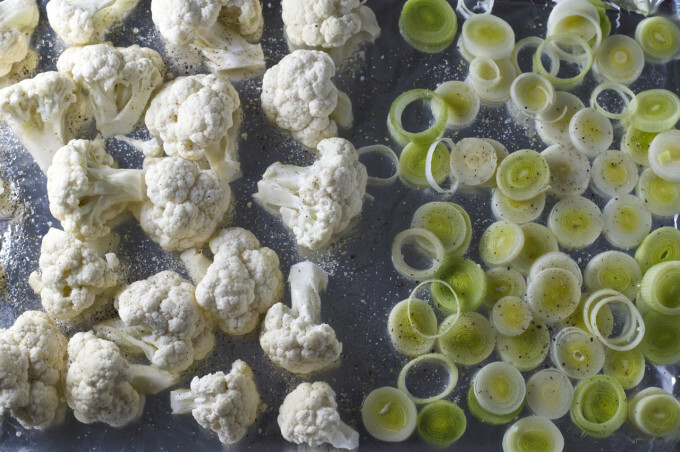 Place squash cubes on foil-lined baking sheet, drizzle with 1 tablespoon olive oil and, using your hands, toss the cubes to lightly coat with the oil. 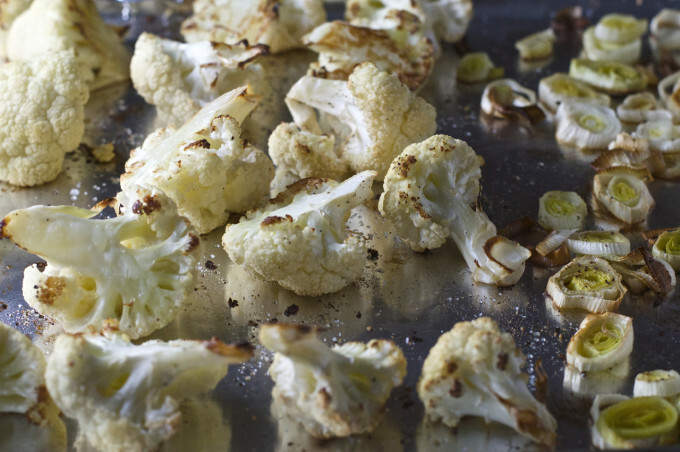 Place the baking sheet in the oven for 15-20 minutes or until browned. 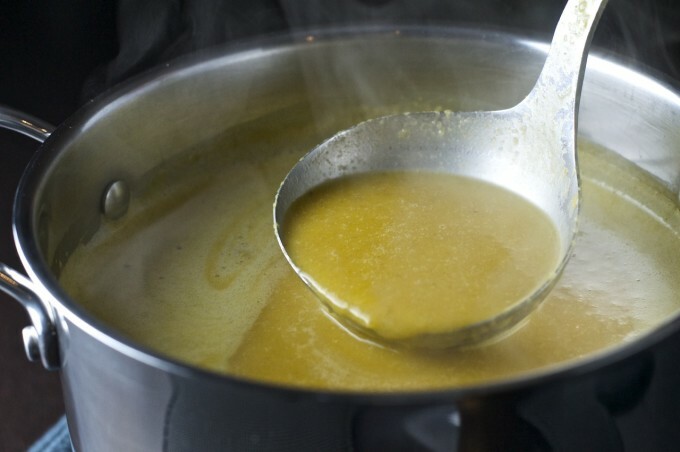 In a large soup pot, heat the remaining 2 tablespoons olive oil and the butter over medium heat. Add onion and garlic and saute until translucent, about 5 minutes. Add cumin, garam masala, and apple. Cook, stirring gently, for 2-3 minutes. Deglaze the pan with the sherry, and stir to loosen the browned bits on the bottom of the pot. Add stock, bring to a boil on medium-high heat and then turn the heat to low. Cover and simmer until the apple is softened, about 10 minutes. Add the roasted squash to the pot, stir in coconut milk, then remove from the stove and let cool for 15 minutes. In batches, puree the soup in a blender or food processor until smooth. Pour the soup into a soup pot, and season with salt and pepper. To serve, reheat gently over medium-low heat. Ladle soup into warmed bowls and top with julienned apple slices and a piece of cambozola. Pesto is a small treasure. At least that’s how I think of it. Isn’t it though? It’s a concentrated intensely flavorful sauce, similar to chimichurri, that lends itself to a variety of dishes. Tarragon pesto, like its more traditional sibling made with basil, can be spread on sandwiches, dobbed on top of soups, whisked into a vinaigrette or spread on grilled fish and meat. Top marks for versatility. When I look inside my fridge and see a small container of tarragon pesto, like I did this morning, it makes me happy. It makes me feel like no matter how rushed I get during the work week, I can make a decent dinner in under 30 minutes. Or I could pack a wickedly good lunch. I’ve been focused lately on what to bring for lunch during the work week. I haven’t been doing it yet, mind you. I’m still at the thinking stage, and dashing to the closest salad joint at lunchtime. New routines, settling in and figuring out what will work for actually bringing a lunch. Sigh. I’ll get there. What I have realized is that unless I, ahem, up my weekend organization a notch or two, the quality of eating during the week has a high probability of spiraling downward into grabbing whatever’s fast, which isn’t typically what’s healthy. That’s where tarragon pesto comes in. It’s a start to making it easier for me to put together a healthy lunch. 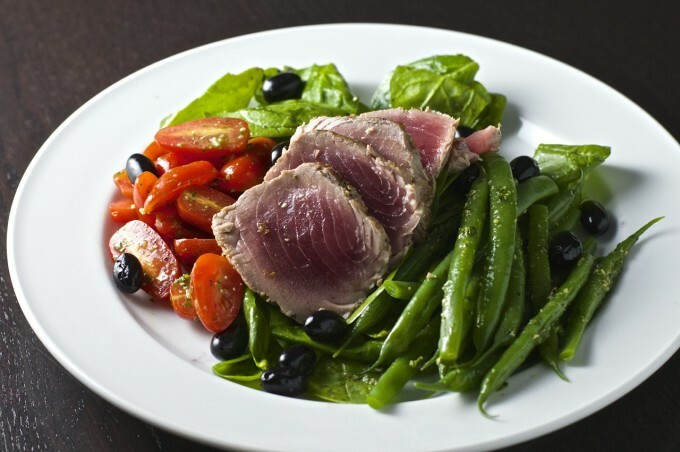 To start off, I used a spoonful of tarragon pesto as a base for a vinaigrette and had it as you see below, with seared tuna on top of some greens. Basically it’s a tarragon-y twist on salade niçoise, sans the egg, potato or anchovies. Yes, this is rather fancy for a weekday lunch. In fact, it made a lovely dinner and took practically no time at all, once the pesto was made. The best thing about it? I have leftovers to pack tomorrow for lunch. Wicked. 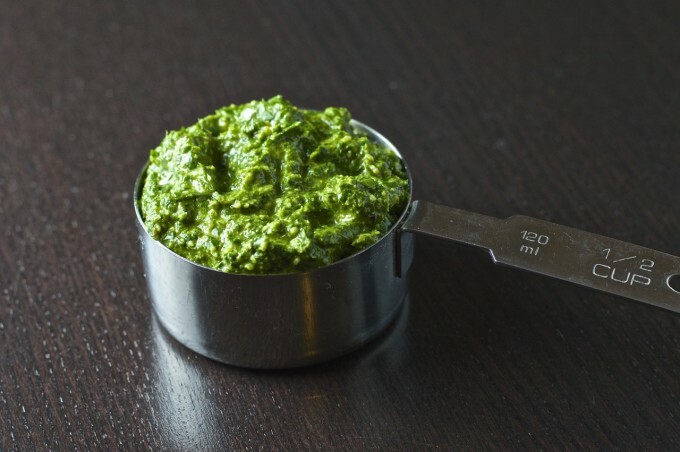 A sauce as simple as it is versatile, tarragon pesto adds a lovely flavor à la française to sandwiches, salads or soups. Try using it as the base for your next vinaigrette or pasta sauce, too. Endless possibilities! 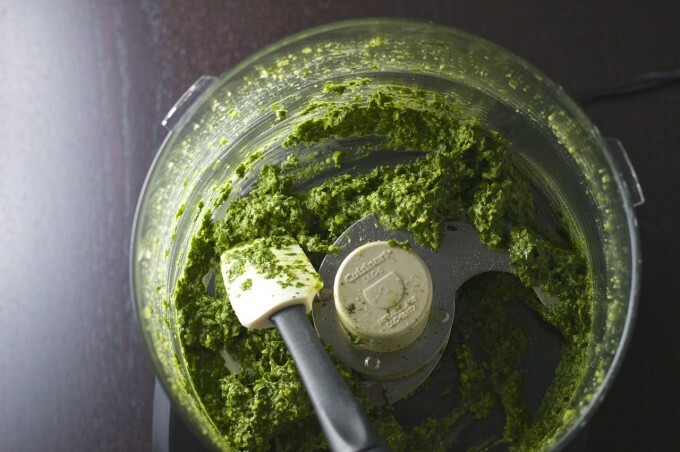 In the bowl of a food processor, place tarragon and parsley leaves together. Pulse a few times until the leaves are chopped well. Scrape down the sides of the bowl, then add the walnuts, lemon juice and olive oil. Whirl it around, scrape the bowl down again and taste it. Add salt and pepper to taste. You may prefer to add more lemon juice or olive oil -- if so, add it a teaspoon at a time until you reach the flavor you want. If you like the flavor but like a thinner consistency, add a few teaspoons of water. 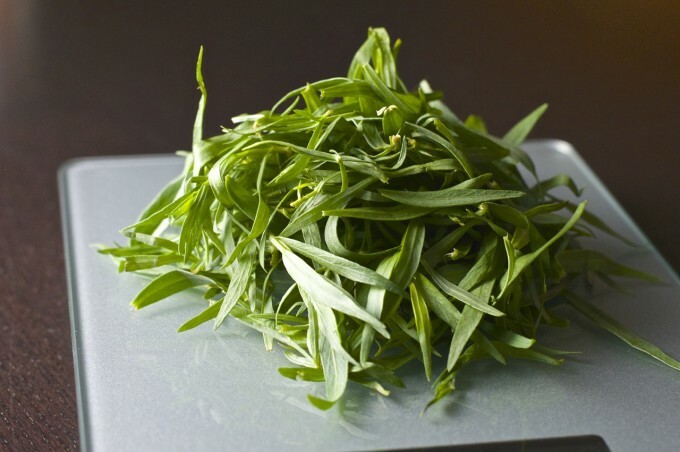 TARRAGON VINAIGRETTE: To make the tarragon vinaigrette, I took a few spoonfuls of the pesto in a small bowl and whisked in 2 teaspoons of olive oil and 1 teaspoon of water. You could also add additional lemon juice if you like. You're basically aiming to get a thinned-out version of the pesto, so play around with adding whatever combination of olive oil/lemon juice/water you prefer until you arrive at the consistency you like. I don’t think I’ve ever seen a chili recipe that has prawns in it. Am I stretching the boundaries of chili a tad here? Maybe. But you’ll forgive me once you find that this recipe takes less than 30 minutes, yet delivers a full-on, soul-warming, healthy dinner. Just what you need after spending a few brisk hours in the garden, raking and bagging leaves, only to come back inside and realize that it’s your turn to make dinner too. Sound familiar? I really felt like making a big, full-on batch of hearty chili, but it was already 6 o’clock by the time I’d bagged all the leaves for the day. I was getting hungry, and didn’t want to slip into being decidedly hangry. With no time to dash to the store to pick up ingredients, I turned to the pantry instead and sized up what I did have: A tin of white kidney beans, some frozen prawns, a bunch of gorgeous rainbow chard along with an onion and some garlic. Hmm….I bet I could do something with this. 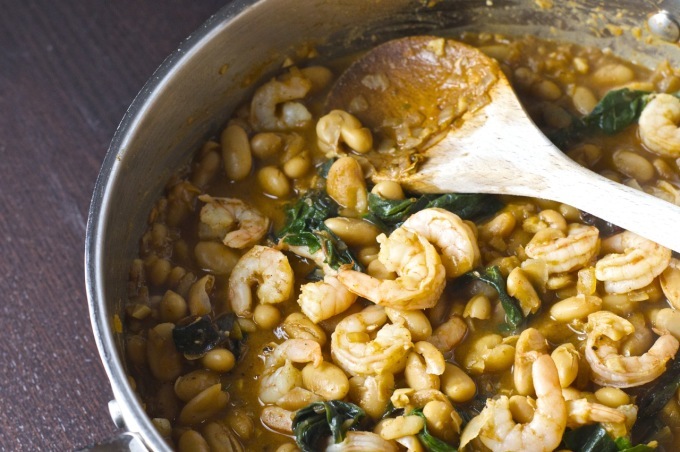 So here’s what I was thinking: Use the white beans as a base, flavor them with cumin and chili powders, simmer briefly to blend the flavors and then toss in the chard and prawns to cook just before serving. That, plus a squeeze of fresh lime juice and sprinkle of cilantro, was my simple, lickety-split chili. And wow, talk about flavorful. Punching about its weight I’d say, considering I only simmered it for just over 10 minutes. 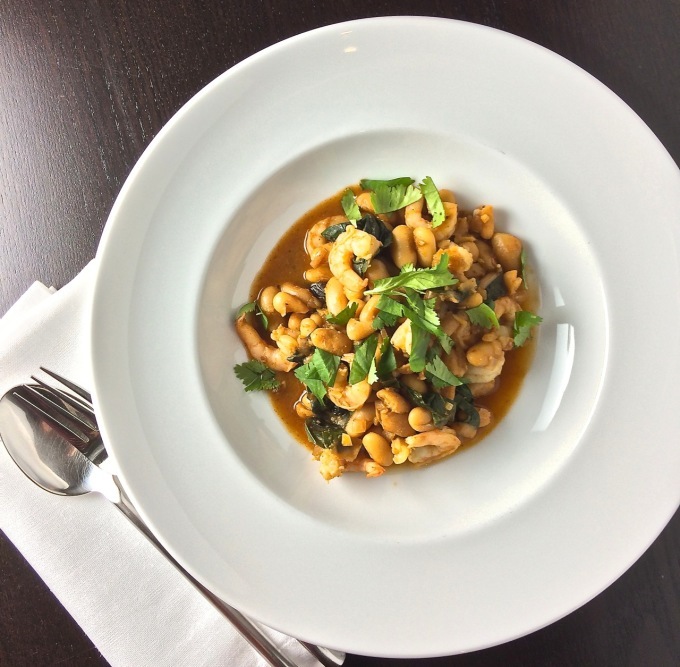 This dish, with its elegant prawns and unassuming tinned beans, is kind of like tossing on a suit jacket to dress up your jeans; a study in contrasts. 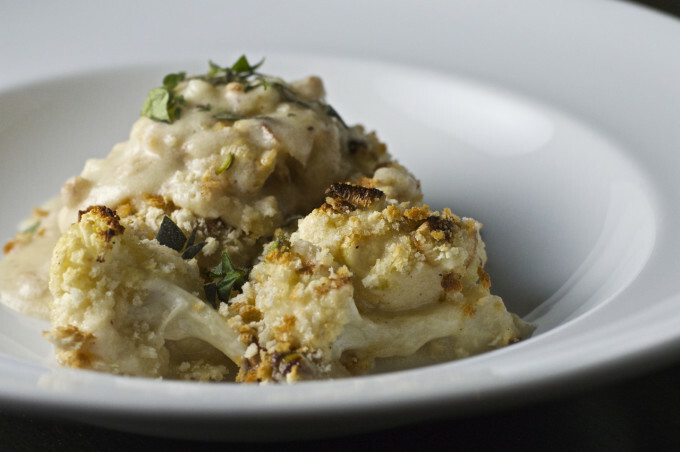 It might not impress your friends who are dazzled by the latest molecular gastronomy creations. But it’ll definitely impress your friends who know what good food is all about. The leaves have almost all floated off from their branches for another season. A few more sessions of raking before fall firmly turns to winter. When I come in after clearing up the last leaves for the season, I’ll know just what to make. If you're craving the flavors of chili but don't have much time, white bean chili with prawns is the answer. Prawns add an elegant touch to lowly tinned beans flavored with chili and cumin, making this a dish fit to share with friends on a fall evening. Or to keep all to yourself. Add the drained kidney beans and chicken stock. Bring to a boil, then reduce heat to low and cover the pan. Let simmer for 10 minutes. After 10 minutes, remove the cover and season to taste with salt and pepper. 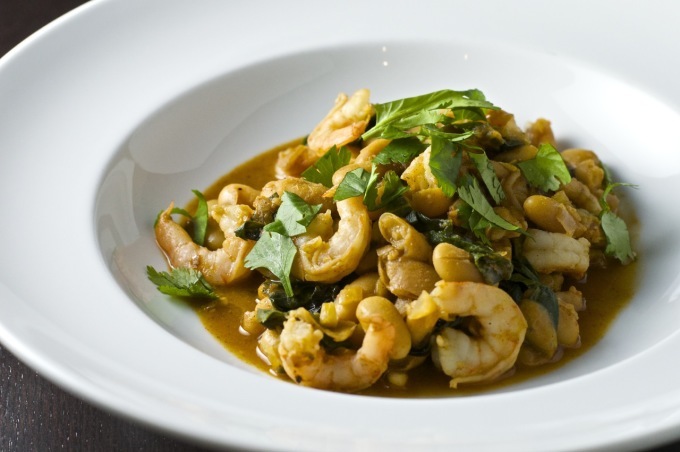 Bring the heat up to medium-low, add the chard leaves and prawns, and cook for 3-4 minutes, or until the chard is wilted and the prawns are cooked through. Ladle into two bowls, and squeeze the lime juice over each one. Sprinkle with a pinch of chopped cilantro (if using) and serve.